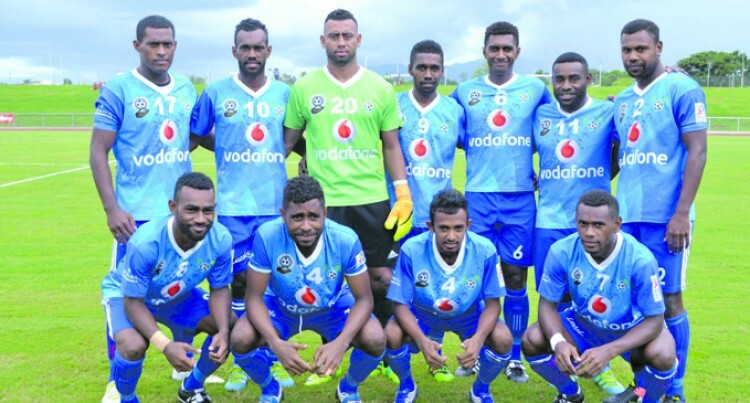 The Beniamino Mateinaqara captained Lautoka Football team is all psyched up in their opening clash against Suva in the Vodafone Fiji FACT 2018 at the Ratu Cakobau Park in Nausori on Friday. Mateinaqara said they used their return match of the OFC Champions League final against Team Wellington 6-0 (away) and 4-3 (home) as a build up. “The result was not in our favour but it was a grand way for us and that was also part of the Fiji FACT build up. We will give our best shot. We have to forget about the match on Sunday and focus on the game for the coming. “We have to pull up our socks in the areas we lacked. We have to iron out general play including the whole structure of the game,” Mateinaqara said. Midfielder Praneel Naidu returns after his suspension. “Discipline is one area we need to work on in the 90 minutes of play,” he said. Veteran crafty midfielder Zibraaz Shahib and striker Peni Finau will be on the run on side alongside, Shazil Ali, Benjamin Totori, Dave Radrigai, Osea Vakatalesau, and Kolinio Sivoki. Lautoka is in Group B alongside neighbours Nadi, Suva and Tavua. The Blues have played in five Fiji FACT finals since the tournament inception in 1991 but won the title twice in 2000 and 2002. The Lautoka and Suva match is on 6pm and in other day one matches, Jacks Nadi plays Tavua at 1.30pm, Labasa faces Dreketi at 4 pm and Rewa plays Ba at 8 pm.